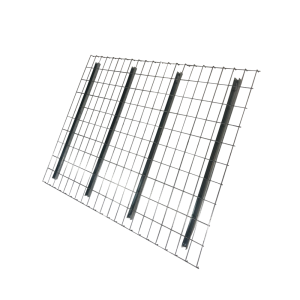 Looking to buy new, in-stock pallet racking online? You’re in the right place. We’ve built the ultimate online pallet racking catalog for your storage needs. Here you’ll find new teardrop pallet racking, wire decking, and accessories that are in stock and ready to ship. Shop from our Minnesota or Pennsylvania location. When you’re ready, either place your order online with our fast and secure online order option or get a quick quote from a helpful Pallet Rack Specialist. Why work with Pallet Rack Now? Don’t take our word for it — read what our customers have to say. We always work to save you money on freight without sacrificing service. It matters to us that your pallet rack arrives safe and in good condition. Maple Grove, Minnesota is home to our headquarters and two of our major warehouses. At this location, we stock new Ridg-U-Rak and Steel King pallet racking, along with J&L Wire, ITC Mfg, and Nashville Wire Products decking. 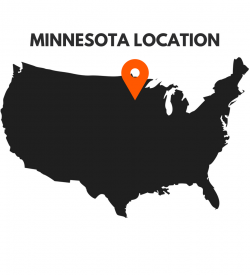 Minnesota is also where you’ll find most of our used pallet rack products. If you’re new to pallet racking and would like some more information please don’t hesitate to get in touch. We’re passionate about warehouse storage and will be more than happy to help you out! Not in Minnesota? No problem! 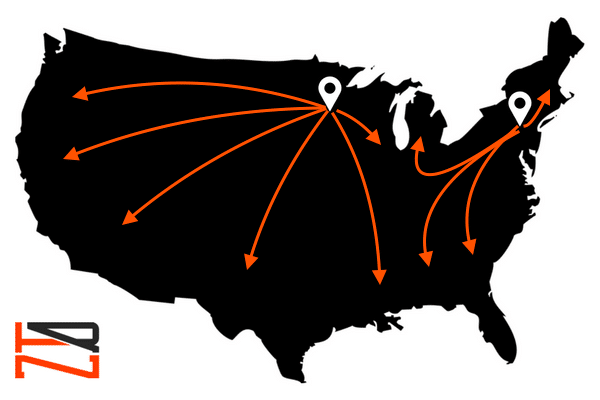 We’ll ship your product quickly, safely, and at a competitive price using our network of carriers. Order online, give us a call, or send in a form and let us help you with your pallet rack project. We promise to make ordering pallet rack as quick and painless as possible. As part of our mission to deliver pallet racking fast and save our customers money, we established our East Stroudsburg, Pennsylvania locationin 2015. If you’re one of our friends on the East Coast, this means shorter transit times and lower freight. 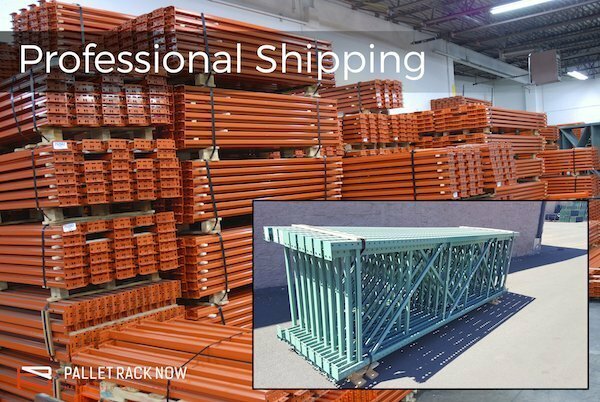 Choose from a similar selection to our Minnesota location: Ridg-U-Rak and Steel King teardrop pallet rack, along with Nashville Wire decking and plenty of accessories to choose from. If you’re in the Eastern U.S., you can now get the racking you need from a trusted and reliable source, quickly and at a competitive price. We have the inventory in stock to supply projects of all sizes, from garage storage to distribution centers. Give us a call today or send in a form and let us help you get your project done ahead of time and within your budget. As with our Minnesota location, all orders ship within 24-48 hours of order placement. “Will definitely bookmark your site. Combining the web and a personal touch is a great way to do biz, you guys have a new fan.” – Gus J. “Wow, what customer service. I’ve never seen a photo of a customer order in the back of the trailer attached with the email shipping notice. As the business owner, you have earned a long term customer and I only wish I would have been aware of your company 5 years ago when we made a major purchase with another distributor. Much better pricing, lead time to fill the order and deliver performance! This performance is only achieved by excellent leadership!” – Wendy S.
“I originally placed a small order online for some racks for my garage. Shortly after placing the order, I received a call from a rep who was reviewing my order. They found I could save some money with a different shipping option. Saved me about $70. The shipping company they used had great communication. The only hiccup during the process was that the shipping company couldn’t use their lift gate. The racks were too long and were attached to 2 pallets. Everything arrived safely and in good condition. If I ever need more racks, I wouldn’t even waste my time with anybody other than them.” – Tim W.
“This was my 2nd experience with Pallet Rack Now and everything again was perfect. We ran short on 1st order and had to get some rack from a local vendor and the quality was not even close. I would highly recomend using Pallet Rack Now for any racking needs.” – Ann I. “I need some pallet racks at an affordable price and that’s exactly what I got! and in no time at all! was an easy shopping experience with no trouble!! highly recommend” – Lindsay J. Ready to start? Send us a form and we’ll be in touch within one business day!